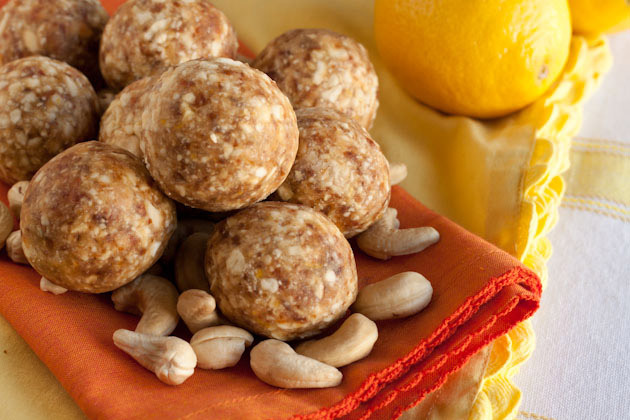 These fruit and nut balls make for a perfect [simple] sunny snack. The lemon adds detoxifying properties to help your body transition to a lighter, more cleansing diet, just in time for spring! In a food processor, chop cashews until they’re the size of the eraser end of a pencil. Remove from food processor bowl and set aside. Add cashews back in and pulse quickly, just until incorporated. 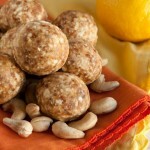 Grab a scoop at a time [about a tablespoon size or a bit bigger] and roll into balls. Place completed balls on a freezer safe plate. Repeat with remaining dough. Place balls in the freezer for 5-10 minutes, remove and enjoy!